Introducing Åry Trays. Crafted by hand in a little factory in the Swedish woods, each of these birch wood trays is the result of a labour of love. With a heritage dating back more fifty years, Åry Trays are still made the same way they were fifty years ago. Their trays and coasters are made from layers of the finest birch wood, responsibly harvested from a renewable source. Each layer is made from a single sheet of wood, so there’s no need to worry about germs hiding in the joins. 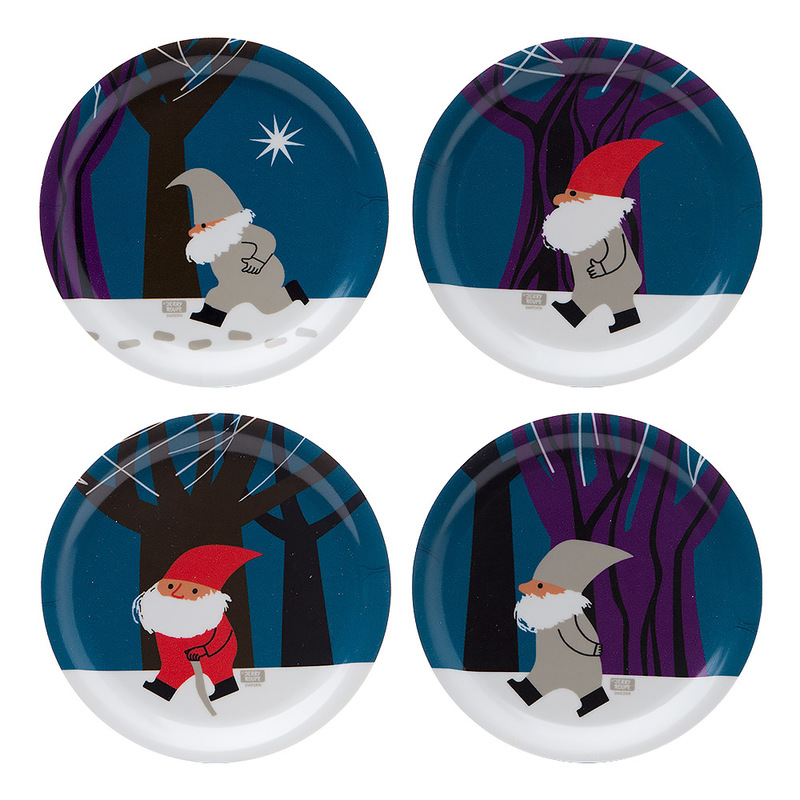 And now, you can bring some eco-friendly servingware to your table this Christmas, with Åry Trays' Santa Parade collection. With a wonderful illustration of Santa marching in the snow, this four-piece Santa Parade Coaster Set will look right at home beneath glasses of eggnog this Christmas. When your family is done enjoying a lovely Christmas treat, you can even pop the coasters in the dishwasher. Easy! Handmade in Sweden in an environmentally-conscious factory. Crafted from layers of responsibly-sourced birch wood. Each layer is made from a single sheet of wood, allowing a seamless, hygienic surface. Presented as a set of four in an Åry Trays box.